Invigorate the senses with the Archipelago Botanicals AB Home Travel Tin Lavande Candle; a scented, hand-poured candle crafted from the finest soy wax and presented in a black, travel-friendly tin, complete with a labelled lid. 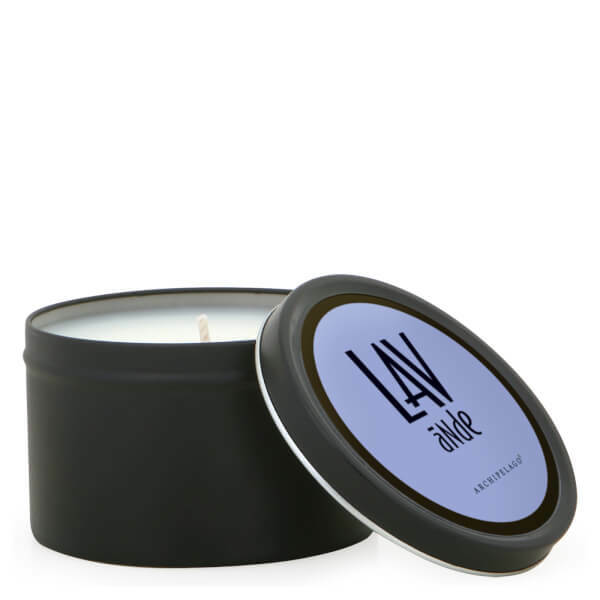 The perfect pick-me-up to unwind and destress after a long day, the Lavande candle unleashes a calming blend of aromas from a complex melange of essential oils and natural or fine fragrances. Pressed sprigs of Lavender, Cyclamen Leave and fresh Cucumber with a hint of Patchouli combine and unleash a floral, camphor-like aroma that’s reminiscent of a soothing springtime stroll through the countryside.